As business leaders re-evaluate their future workplaces — what they should look like, where they should be — they often weigh the benefits of a traditional office against those of remote work arrangements. Lurking behind the former, however, are growing concerns about the costs of big cities — from direct expenses like office rent to indirect ones like housing prices. But a key fact tends to be overlooked: Not all cities are expensive. From the Rust Belt's "legacy cities" (Detroit, Buffalo, Baltimore) to less extreme cases of urban decline and recovery (Philadelphia, Providence, Cincinnati), many parts of the U.S. are cheaper yet still dynamic places to live and work. In 2016, when the average price of office space in Manhattan first broke $72 per square foot, it still cost less than $29 in Philadelphia. It's time for American companies to capitalize on the largely untapped opportunities of these cities. 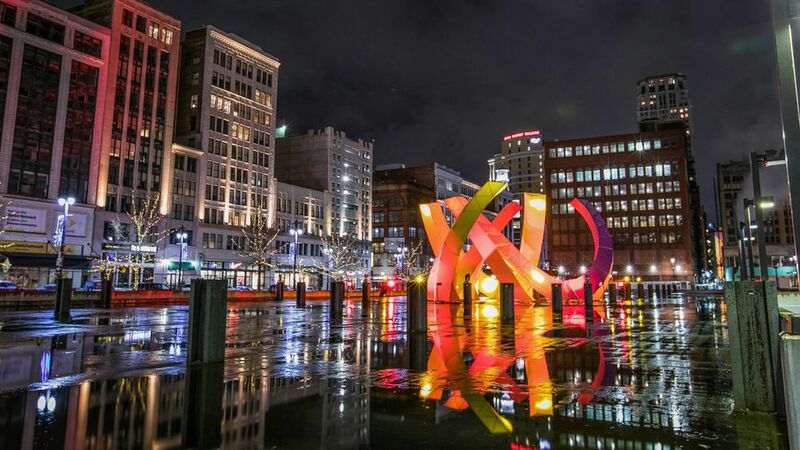 This is not a new idea — Dan Gilbert famously moved thousands of Quicken Loans employees into downtown Detroit — but it is a reminder that these conversations need to factor in the full range of possibilities, not to mention the spillover benefits. Amazon's new headquarters, for example, will not just bring thousands of jobs to some lucky city, but also give it a chance to re-engage underutilized spaces, capturing new environmental and social gains. The bottom line: Prioritizing in-person connections at work doesn't have to come at the cost of big city prices. Older, less popular American cities can offer modern workplaces the best of both options.